Charter Flight Group, one the largest and most reliable private corporate air services in the world has private flights both in and out of Birmingham, Alabama. For over 30 years, Charter Flight Group has been raising the standards for both corporate and individual private flights. With an unmatched record of safety and reliability, CFG has gained the reputation as being the corporate air charter of choice. With countless destinations worldwide, Charter Flight Group can take you anywhere you want to go. Years ago, when deciding what would make us great, we decided on the fundamental factors for our air charter services. It was decided at that time to ensure that all flights were as safe as possible, reliable, and comfortable. Regardless of the cost, CFG continues this same practice today. With corporate air jets ranging from small Leers and Cessna’s to massive jet flights using Boeings 737’s, Charter Flight Group has ensures that we have something to offer every client who calls. Of course, the key to keeping our promise of safe, reliable, luxury corporate air charter services lay in the reliance on outside safety firms such as the Aircraft Research Group of the United States (ARGUS). This group regularly audits and inspects each private air charter plane to ensure that not only does it meet FAA standards and regulations, but that is also meets stringent requirements. In addition, CFG only selects the best and most reliable pilots and flight crews. When you board your corporate air charter flight with CFG, you will see the difference among our courteous, professional flight crews. Charter Flight Group is happy to arrange On-Demand private corporate air charter services to clients anywhere. Of course, if your flight takes you to Birmingham, there are a few things you may want to know before touchdown. 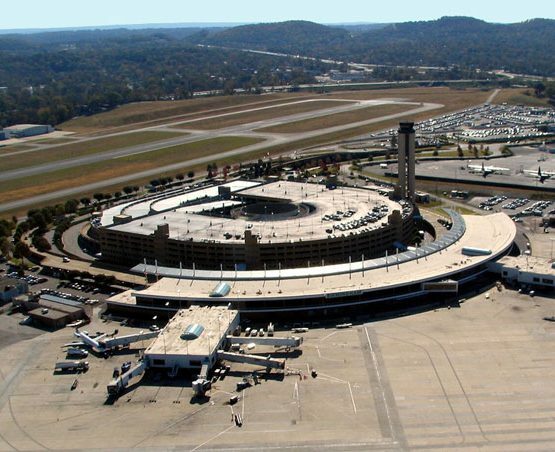 The Birmingham-Shuttlesworth International Airport is located on the east edge of Birmingham within the bypass. In fact, it is nestled snugly aside Interstates 20 and 59, giving private clients easy access to anywhere in the city. Downtown Birmingham is a 10 minute ride from the airport and one can easily obtain auto rentals in the fully modernized upper concourse. Of course, you can always pre-arrange your transportation from your private charter through your air services flight specialist. 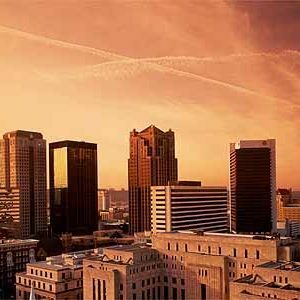 Sweet Home Alabama…or the Birmingham Blues; whichever is the case, once your private corporate air charter has landed in Birmingham, you are going to want to check out the sites or the multitude of busy corporations. In addition, there are some rather unique things to see and do in Birmingham such as Vulcan, the world’s largest cast-iron sculpture, the Birmingham Civil Rights Institute for a piece of modern history, and then take a step further back in time to visit the Tannehill Ironworks Historical Park, situated on the site of the Ironworks that kept the South supplied during the Civil War. Of course, many know well that Iron is a major industry even today in Birmingham, so be sure to have your private corporate air charter flight specialist include a trip to one of the modern Ironworks still in operation. Of course, you have likely booked your corporate air charter for business reasons and no wonder…Birmingham is home to perhaps more major corporations than any city in the south. In fact, six Fortune 1000 companies call Birmingham home and more than 70 major corporations have headquarters here. Among the more notable are BCBS of Alabama, Barnes & Noble, EBSCO Industries, Motion Industries, and U.S. Pipe.